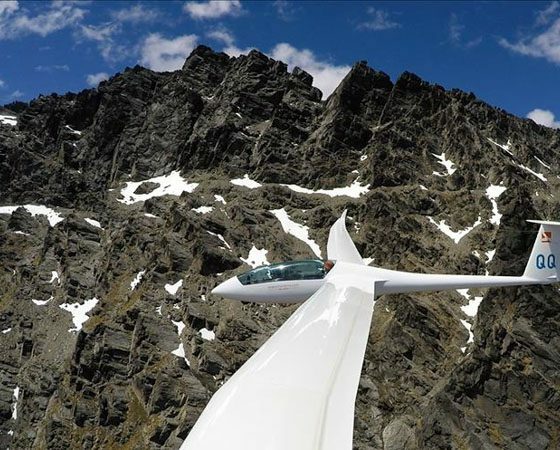 Take to the skies and enjoy the unique environment of the Southern Alps of New Zealand with Glide Omarama, who offer personalised soaring adventures and gliding courses. 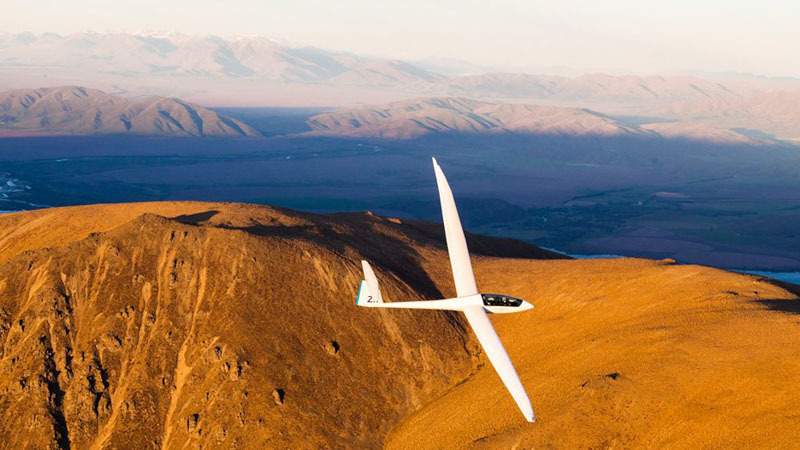 Experience crystal clear air and stunning vistas as we introduce you to the sport of gliding with a trial flight in a modern high performance sailplane with a fully qualified instructor. 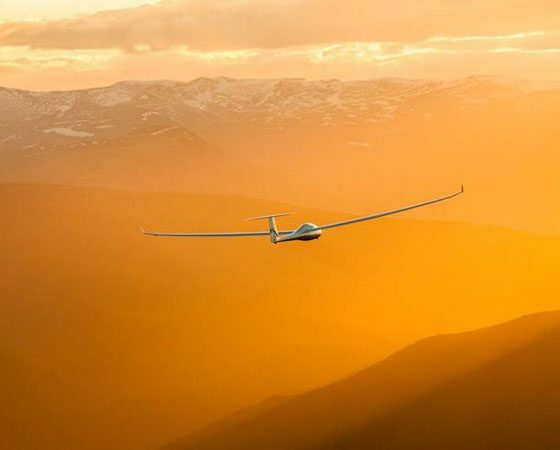 Also offering courses for beginner, intermediate and experienced pilots who wish to extend their mountain cross country flying or who wish to improve their skills. 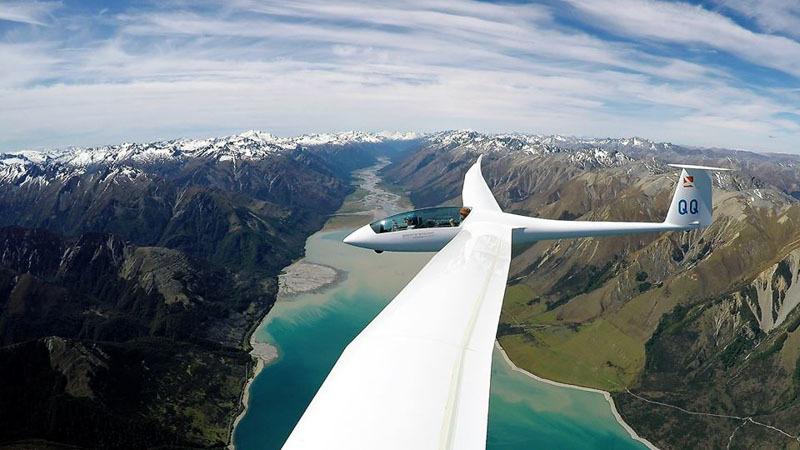 All flights are subject to suitable weather conditions. 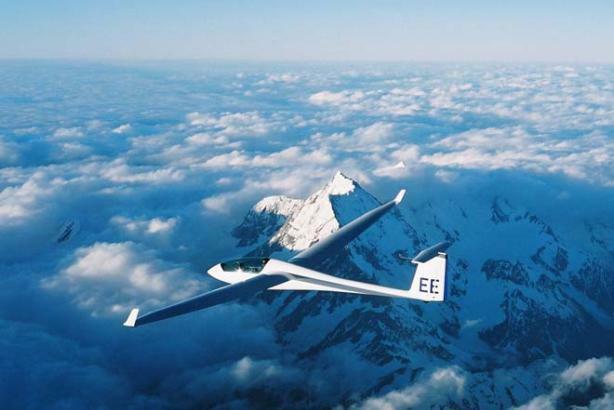 If a Long Flight or a 1 Hour flight is not achieved due to the weather or soaring conditions not being suitable, you will only be charged an appropriately reduced price. 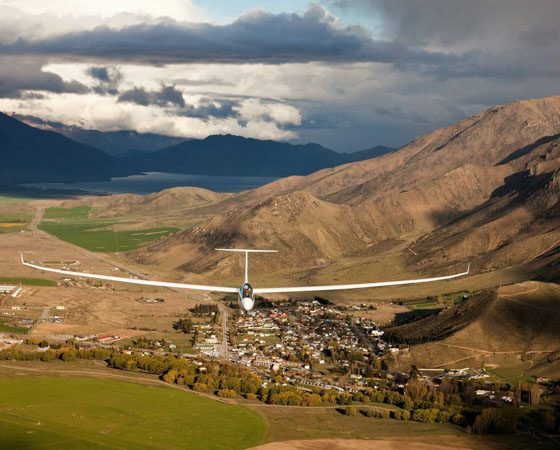 The ’30 Minute Trial Flight’ (the Valley Explorer) is a spectacular introduction to the sport of gliding and no experience is necessary. 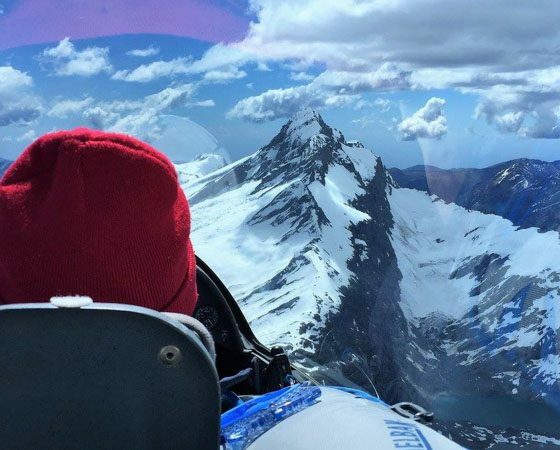 Suitable for ages 12 years and above, this is a learning experience as you climb aboard and aero tow to the nearby mountains. 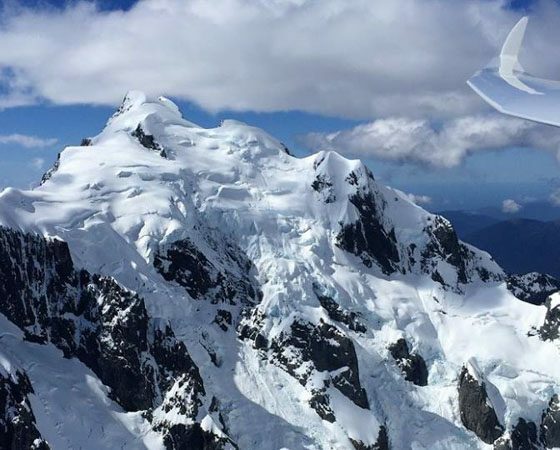 Once you are released from the tow plane you are flying free as you soar around the stunning mountains and over the great lakes of the Mackenzie country. You are encouraged to take the controls and have a go. 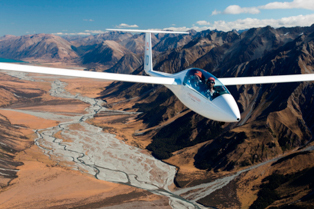 Suitable for both those who are looking for a smooth and gentle ride and also for the more adventurous. 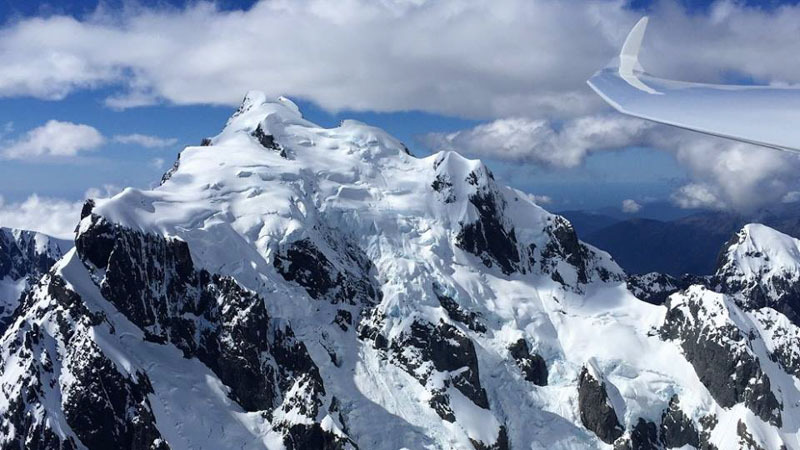 $368 NZ per person. N.B. 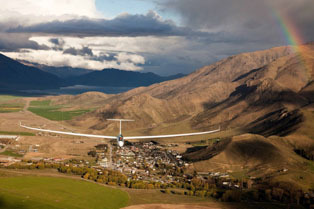 The Valley Explorer (a 30 minute flight) can usually operate throughout the day. 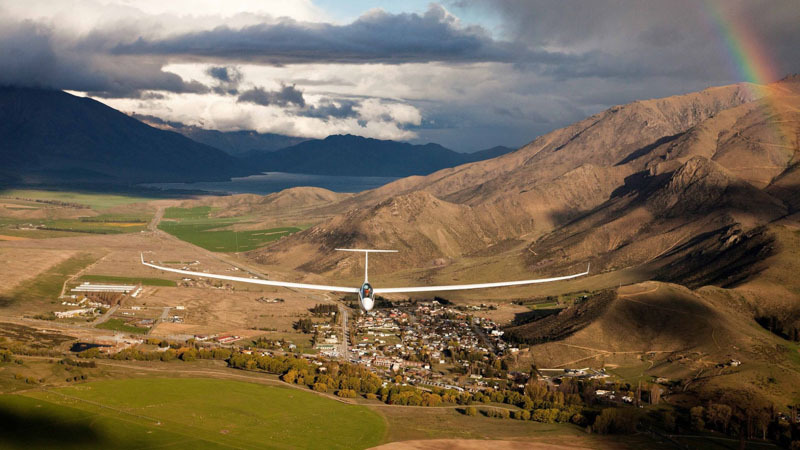 The ‘One Hour Trial Flight’ (The Mountain Adventurer) is the most popular flight. 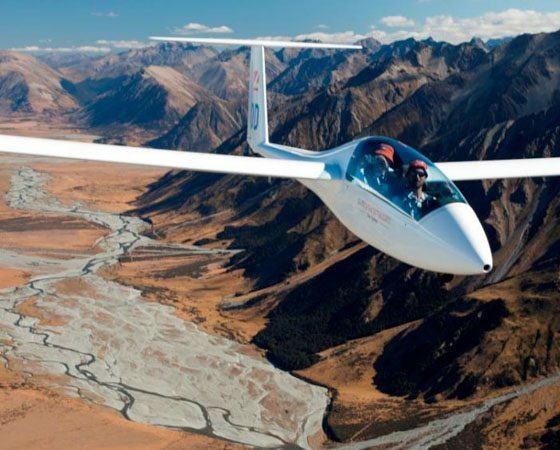 This is also a spectacular introduction to the sport of soaring gliders and is great value for money, allowing you to fly even higher and further. 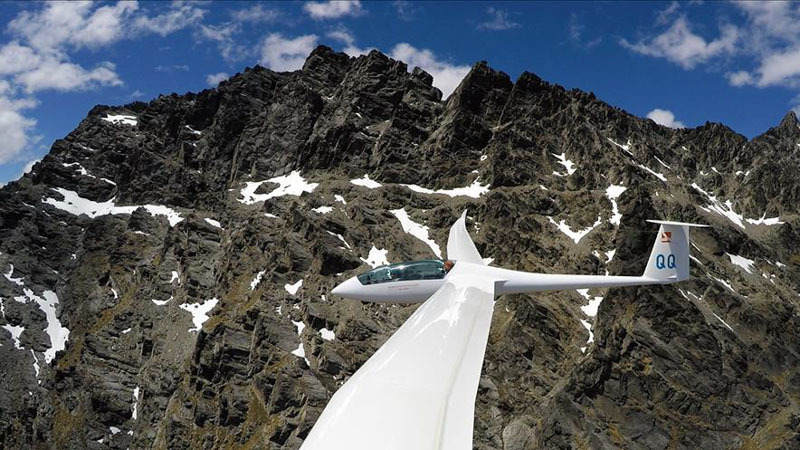 Soar into the mountains that surround the Omarama basin and see for yourself why this fascinating alpine environment attracts glider pilots from all around the world. 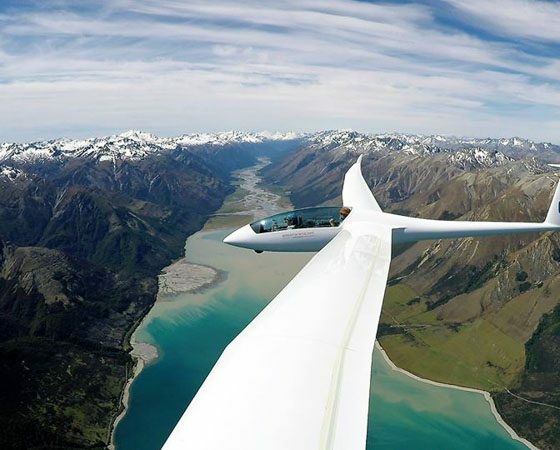 Take the controls and have a go experiencing the cross-country potential of these extraordinary high performance sailplanes. 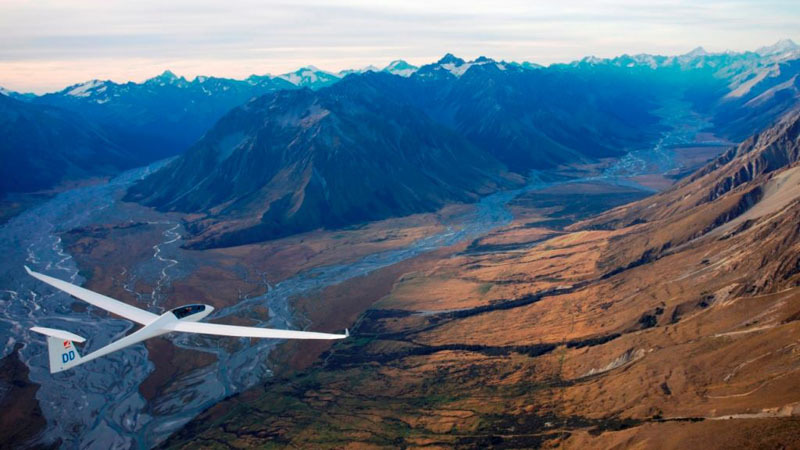 $498 NZ per person. N.B. 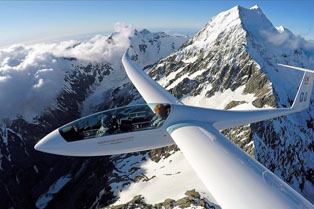 The Mountain Adventurer (a 1 hour flight) operates best in the afternoons when soaring conditions are usually better. 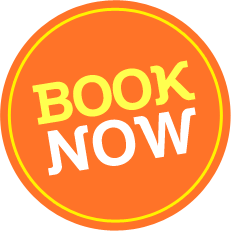 Price: $795 and $270 NZ pro rata for each additional hour. 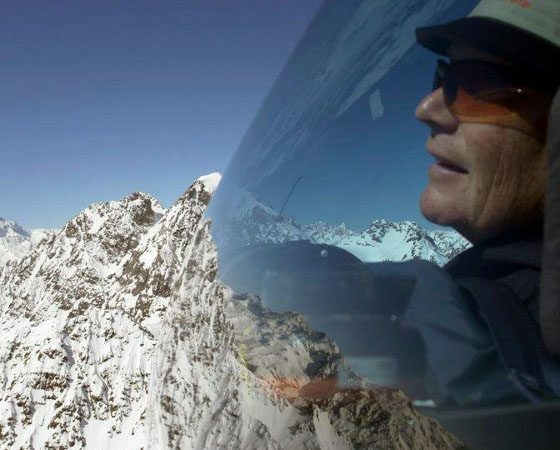 ‘Long Flights’ (The Alpine Adventure) are more adventurous and can be made deep into the Southern Alps where you may fly with your experienced mountain soaring instructor north to Mount Cook and back, west past Lake Wanaka to Mount Aspiring and back or out to the east coast along the Kakanui Mountains, encountering spectacular scenery with hands on instruction. 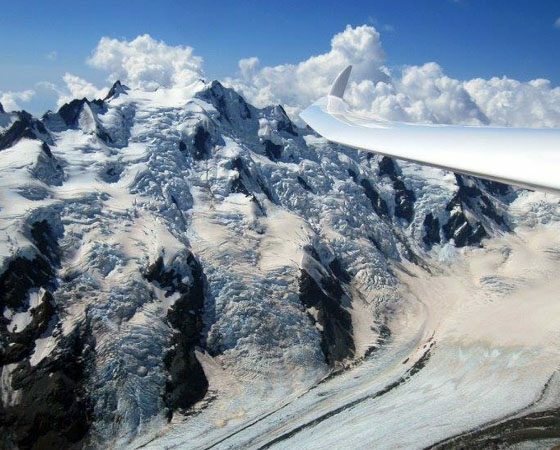 On windy days, flights more than 500 km long and 20,000 feet in height can be made in Omarama’s extraordinary and famous atmospheric waves. 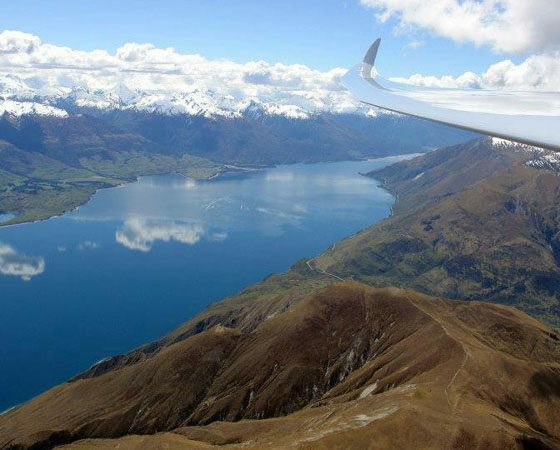 $795 NZ per person for two hours and $270 NZ pro rata for each additional hour. N.B. 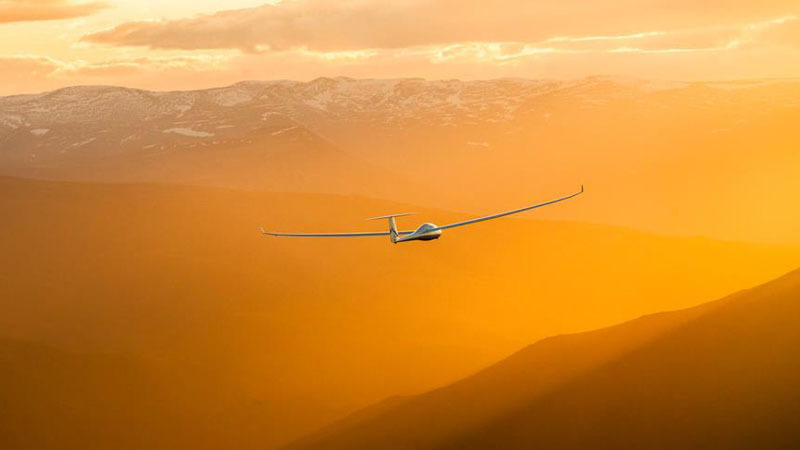 Longer flights can only be booked for the afternoons and may be postponed or cancelled if the soaring conditions are unsuitable. 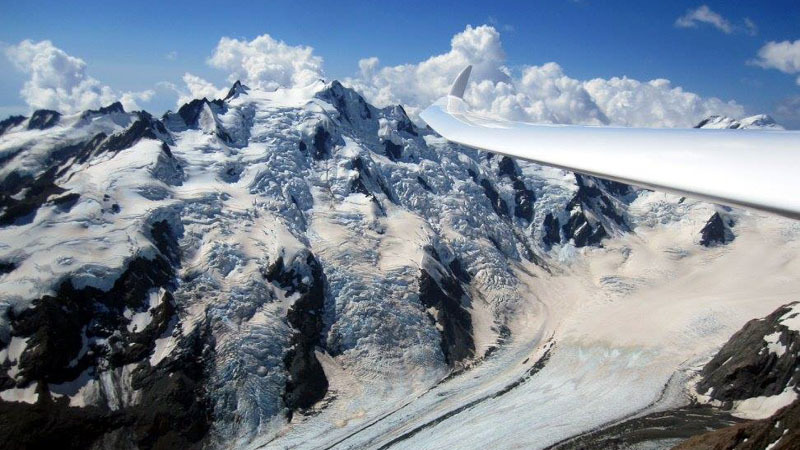 You should ring the day before to check the soaring conditions and if necessary we will suggest an adjusted time or day for your flight. 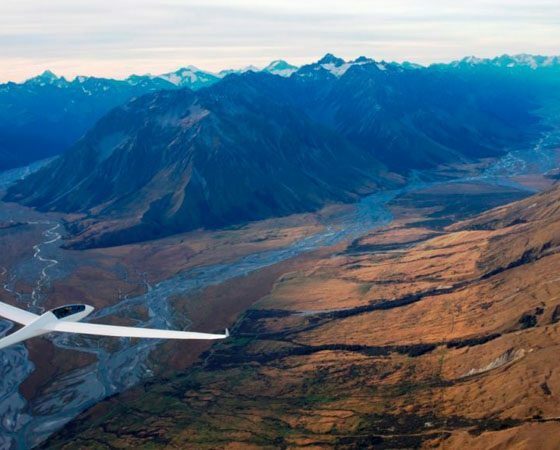 “The High Alpine Spectacular” is the ultimate gliding experience, allowing you to enjoy a dramatic soaring adventure deep into the Southern Alps as you follow the secret pathways in the sky. 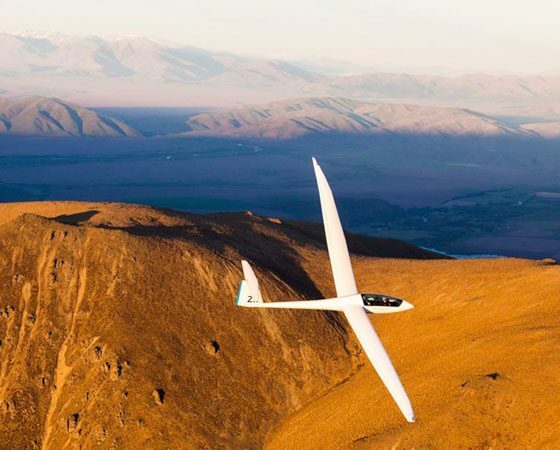 You should allow a full day for this experience, which includes a careful introduction to your high-performance 20m Duo Discus sailplane, a thorough briefing on the weather and how the glider flies, and a soaring flight of between 3hr and 5hrs. 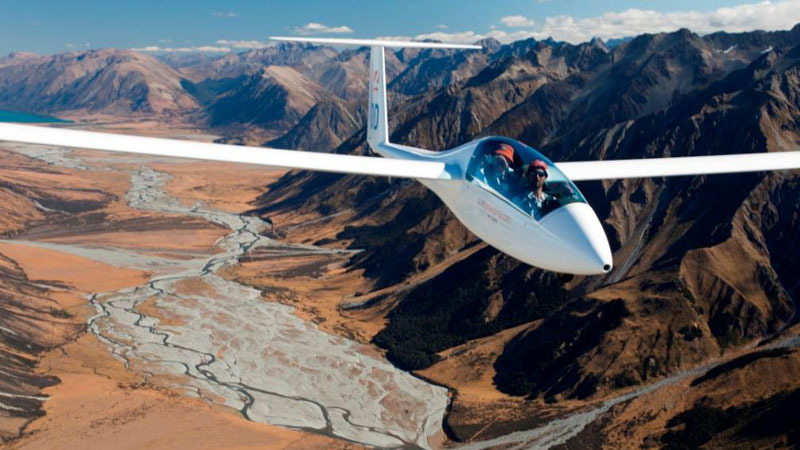 Your instructor will allow you to fly the glider as much as you like and will give you a thorough briefing at the end of the flight. 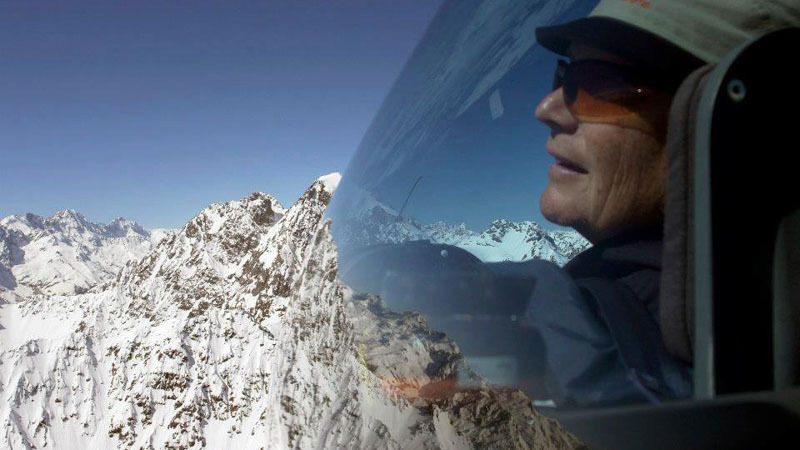 This could be the thrill of a lifetime. 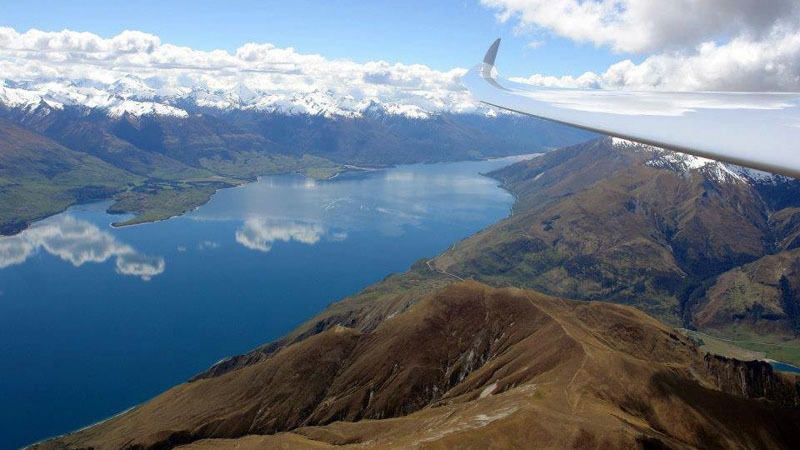 $1655 NZ per person. 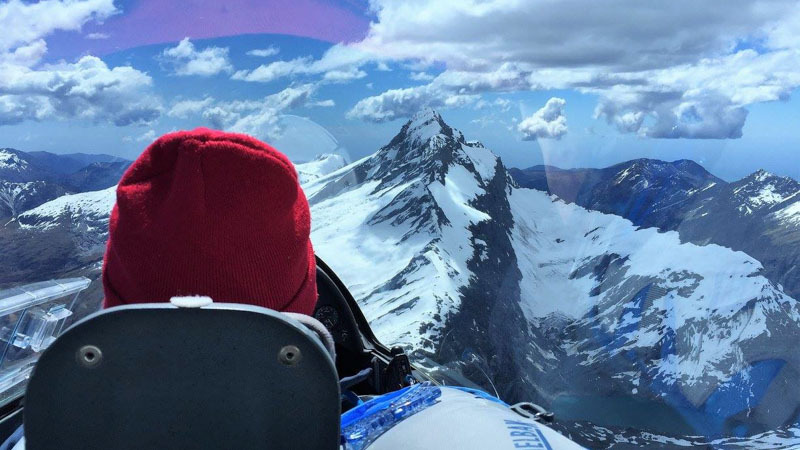 please enquire about our Introductory and Learn to Fly Courses’ today.